Eric S. Horowitz is a graduate of Washington University in St. Louis, Missouri, and Hofstra University School of Law, Uniondale, New York. Mr. Horowitz has been associated with Zane and Rudofsky since graduating from law school, and is a member of the Bar of the United States Court of Appeals for the Second Circuit and the U.S. District Courts for the Southern and Eastern Districts of New York; the American Bar Association and the New York County Lawyers Association. 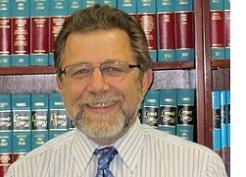 He specializes in complex commercial litigation, with an emphasis on real estate related matters. Mr. Horowitz has represented the owners of 150 East 42nd Street in New York City; the Sears Tower in Chicago; the Bank America Center in San Francisco; The Wachovia Center in Winston-Salem; One HSBC Center in Buffalo; Pegasus Place Apartments in Lexington, and numerous other commercial properties in New York City, including, but not limited to: the Bed, Bath and Beyond Building (620 Avenue of the Americas); 855 Avenue of the Americas; 1520 Sedgwick Avenue (often cited as the birthplace of hip-hop); the International Toy Building; 40 Broad Street; Fordham Fulton Towers; the SL Whale Building; Sunset Industrial Park; and the Starrett-Lehigh Building (the latter being the 3rd largest commercial building in New York City). Mr. Horowitz has also represented the owner of forty-seven (47) buildings in East Harlem that were sold for in excess of $225 Million, as well as numerous other buyers and sellers in multi-million dollar commercial and residential real estate transactions. By Decision dated January 15, 2019, the Appellate Division, First Department, affirmed certain portions of a lower Court Decision which revoked new Regulations enacted by the New York State Department of Financial Services. In such regard, the firm filed Amicus Curiae Briefs on behalf of the New York State Closers Association in support of (i) the lower Court proceeding which resulted in the revocation of the Regulations and (ii) the subsequent Appellate Division review of the lower Court'ss Decision. Although portions of the Regulations were reinstated by the Appellate Division, those portions which the Association objected to, and with respect to which the firm filed an Amicus Curiae Brief with the Appellate Court were not reinstated on appeal. By Decision and Order dated April 23, 2015, the Supreme Court, New York County (Werner-Kornreich, J.S.C. ), granted our motion for summary judgment and dismissed the plaintiff's Complaint against our clients which sought a $2 Million Finder's Fee with respect to the purchase of the US Steel Tower in Pittsburgh, PA.
By Decision and Order dated April 6, 2017, the Appellate Division, First Department, affirmed the lower Court's dismissal of the Complaint. Wild West Ventures LLC v. 703 Washington Corp., 95 A.D.3d 740 (1st Dept. 2012), where the firm successfully represented the seller of a building located in Manhattan in defense of a breach of contract claim. Not only was our client awarded the $2,500,000 contract deposit as and for its damages, but we successfully obtained the entry of an order awarding our client the legal fees and expenses it incurred in defending the action. United States of America v. 55,325 Rentable Square Feet of Space etc., a relatively rare and complicated "war-time" condemnation proceeding commenced by the filing of a "declaration of taking" by the U.S. government following the 9/11 attack on the World Trade Center, pursuant to which the government seized 2-½ floors and the garage of the Starrett-Lehigh Building to replace the destroyed Customs House space. Mr. Horowitz has received an AV® Preeminent™ rating from Martindale-Hubbell, an independent service which has rated attorneys nationwide for more than a century. An AV® Preeminent™ rating is the highest available rating meaning that Mr. Horowitz was recognized by his peers as having preeminent legal ability and a very high ethical conduct relevant to the discharge of his professional responsibilities. Mr. Horowitz lives in Old Bethpage, New York, with this wife and four children. He currently serves as a Member of the Board of Directors of the Plainview/Old Bethpage Soccer League and is the Director of the League's Top Soccer Program, a program for young athletes with developmental disabilities. He is also a Member of the Board of Trustees of Temple Chaverim, Plainview, NY. Mr. Horowitz recently served as a Member of the Host Committee for the Breast Cancer Foundation's Pink Promises Dinner that raised nearly $1 million to support advanced breast cancer research.